Come enjoy your new family home. With an open floor plan inside and plenty of yard space outside, you'll have lots of options for fun Gatherings. Small neighborhood with very little traffic. Walk into a large great room that has plenty of Windows for natural light. The kitchen will Delight the household chef with an open feel, lots of counter and cabinet space and an island bar. Want to relax....options Galore with a Bonus room, screened-in covered back porch, a stone fire pit area in the fenced yard or end the day in an over-sized tub in the master bedroom. Large master bedroom with walk-in closet. 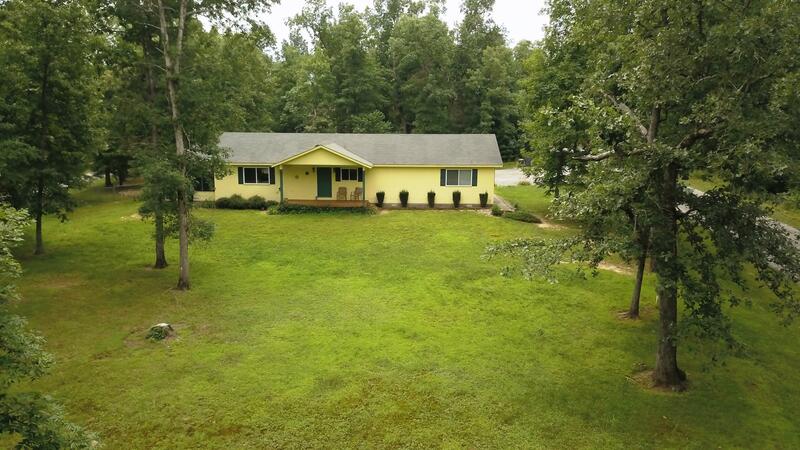 This home is close to town or Lake Tansi amenities. New A/C-heating unit installed. Call today to schedule your personal tour.